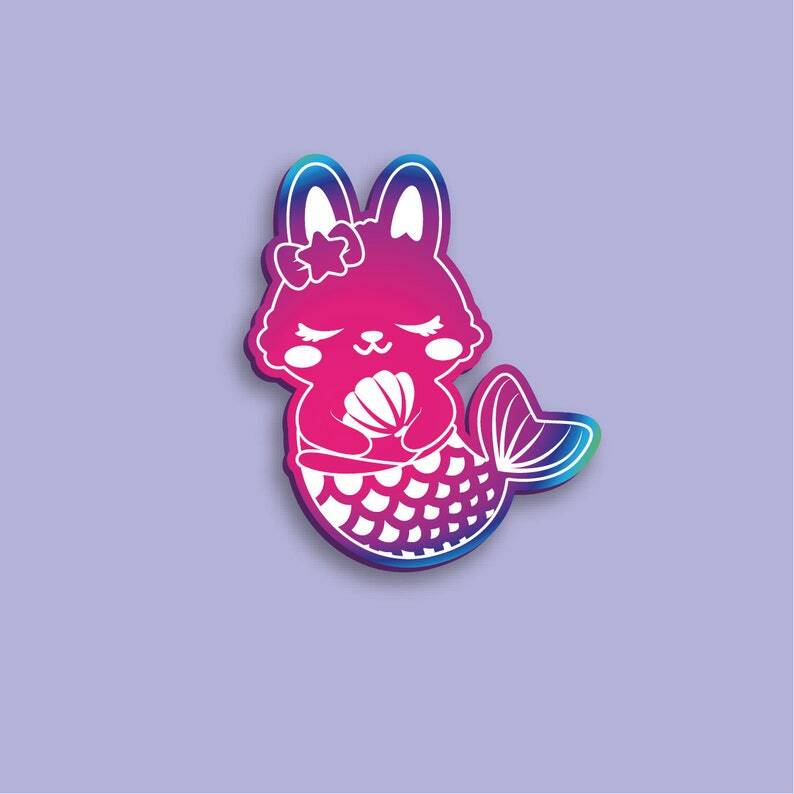 Cute merbunny soft enamel pin with rainbow metal effect. On the backside it has two pin posts with rubber backs. Each pin measures 40 x 34 mm (approx. 1.6 x 1.3 inches). My artist logo is stamped on the back. Every pin comes with a cute backing card. Please note this is a preorder item. 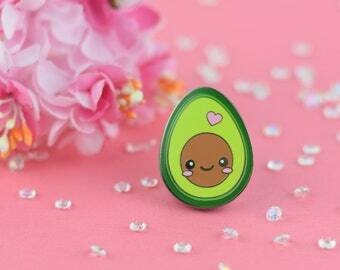 The pin is already in production and is estimated to be ready by end of April. Mock up image might slightly vary from actual product. HAIR CLIP BUNNY - Kawaii Bunny Hairclip Pin Hairpuff 3D extra soft embroidered on minky fabric in 30 colors! This is probably the best clip I've purchased from this shop so far. It matches the picture and description perfectly and sits in my hair very well. 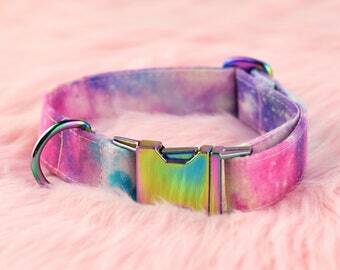 It's so cute and plush and wonderful!!!! It also arrived earlier than I expected which is a plus since I live overseas. I get so many compliments on it and always recommend this shop. I've only ever had one issue with any of the clips. The pink star one I purchased had an issue where the clip started separating from the plush in the back. But it's an easy fix and it's never happened with any of the others. Please don't hesitate to purchase any of these adorable clips! HAIR CLIP KITTY - Kawaii Cat Hairclip Pin Hairpuff 3D extra soft embroidered on minky fabric in 30 colors! HAIR CLIP TEDDY - Kawaii Teddy bear Hairclip Pin Hairpuff 3D extra soft embroidered on minky fabric in 30 colors!